The 46th San Diego Crew Classic returns to Mission Bay in just a couple of weeks, bringing with it decades of tradition and a few new attractions. 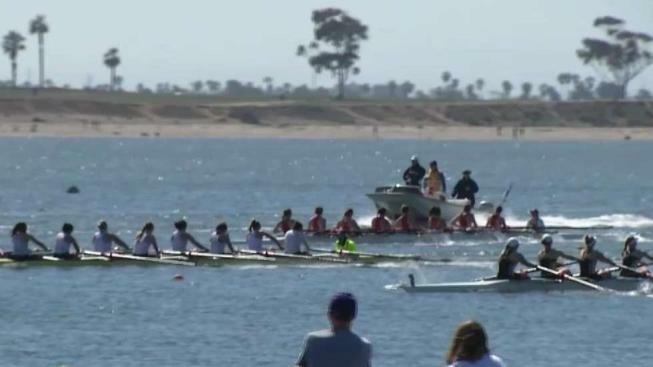 The two-day rowing regatta will be held April 6 and April 7 at Crown Point’s Mission Bay Park North. This year’s event features 100 races with more than 4,000 athletes spanning all ages and skill sets. The headliner collegiate races will feature 120 teams from around the nation, including all of the local universities, and traditional powerhouse teams from Yale, Cal, UCLA, Stanford, and Texas, just to name a few. This year’s event also features a new exhibition race between U.S. National Team members (future Olympians) and National Team Alumni (past Olympians).